Diet plays an important role in the development of colorectal cancer. Emerging data have implicated the gut microbiota in colorectal cancer. Diet is a major determinant for the gut microbial structure and function. Therefore, it has been hypothesized that alterations in gut microbes and their metabolites may contribute to the influence of diet on the development of colorectal cancer. We review several major dietary factors that have been linked to gut microbiota and colorectal cancer, including major dietary patterns, fiber, red meat and sulfur, and obesity. Most of the epidemiologic evidence derives from cross-sectional or short-term, highly controlled feeding studies that are limited in size. Therefore, high-quality large-scale prospective studies with dietary data collected over the life course and comprehensive gut microbial composition and function assessed well prior to neoplastic occurrence are critically needed to identify microbiome-based interventions that may complement or optimize current diet-based strategies for colorectal cancer prevention and management. World Cancer Research Fund / American Institute for Cancer Research. 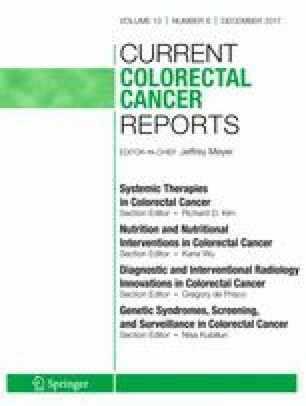 Continuous Update Project report: food, nutrition, physical activity, and the prevention of colorectal cancer. 2011. http://www.wcrf.org/sites/default/files/Colorectal-Cancer-2011-Report.pdf.